The Watershed Management Division (WMD), Department of Forests and Park Services (DoFPS) successfully conducted Technical Working Group (TWG) meeting on REDD+ Safeguards at Phuentsholing from 27th February-1st March, 2019. The REDD+ safeguard is one of the component under REDD+ readiness phase as required by Forest Carbon Partnership Facility of the World Bank and United Nation Framework Convention on Climate Change. 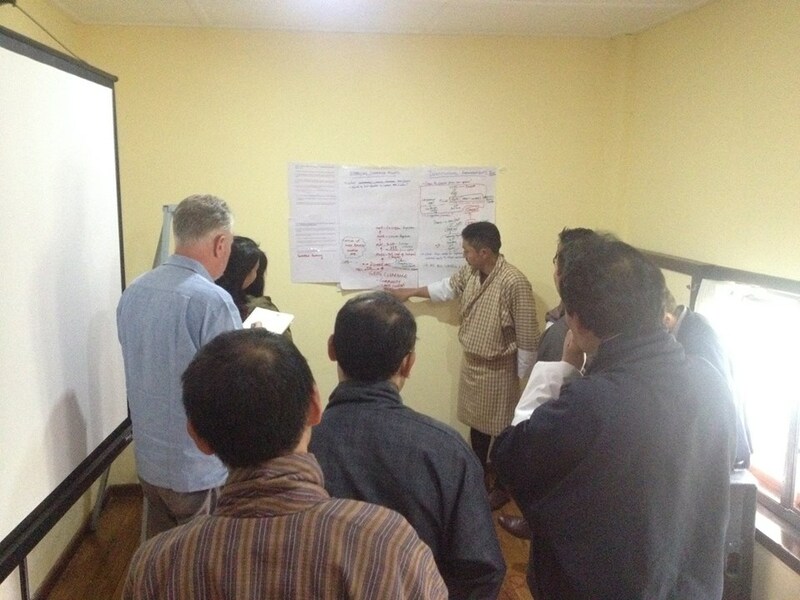 Therefore, Watershed Management Division (WMD) is currently carrying out REDD+ safeguards works consisting of Strategic Environmental and Social Assessment (SESA), Environmental and Social Management Framework (ESMF), Safeguard Information System (SIS) which is being outsourced to the international consultancy firm Climate Law and Policy (CLP). The team from CLP along with WMD conducted meeting with REDD+ TWG members and achieved the followings. The Institutional arrangements of the SIS and SIS design protocol were proposed and amended along with the functions. The draft REDD+ safeguard documents will amended by CLP incorporating the comments, and will be subject to further review writeshop and finalization. The REDD+ TWG members from Ministry of Works and Human Settlement, Department of Forests and Park Services (FRMD, SFED, and WMD), Department of Agriculture (SPAL), Department of Livestock, National Environment Commission, Gross National Happiness Commission, National Land Commission, Tarayana Foundation, Royal Society for Protection of Nature participated in the meetings.